Rich in omega 3.It has a delicious, light nutty flavour and is rich in omega 3 fats. 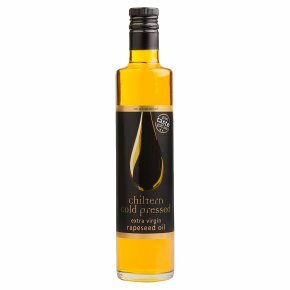 Chiltern cold pressed rapeseed oil has no artificial flavourings or preservatives and is naturally high in vitamin E. This versatile oil is ideal for dressings and marinades and with its high burn point it is great for roasting and stir frying. A healthy alternative to olive oil.